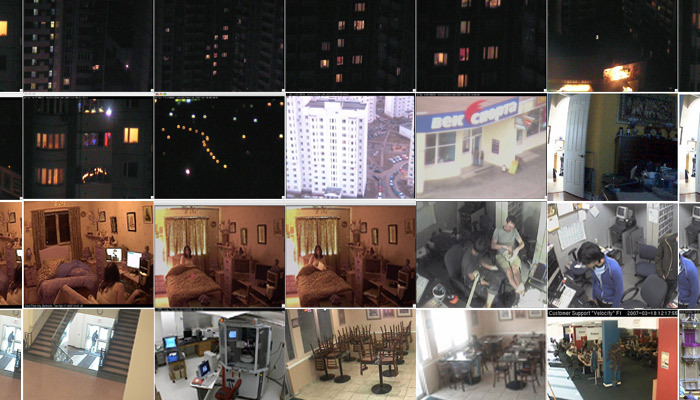 An uncountable range of network cameras and webcams create circuits of open streams easily available on the internet: digital devices capture and broadcast the reality of public and private spaces, with and without knowledge of their participants, with and without consent. Somehow, humans seem to have survived from a possible panopticon effect: the fact that they are being constantly watched seems to make them feel even more unaware of the surveillance or just comfortably not caring.May be we’re just too optimistic and see ourselves immune to this digital voyeurism. 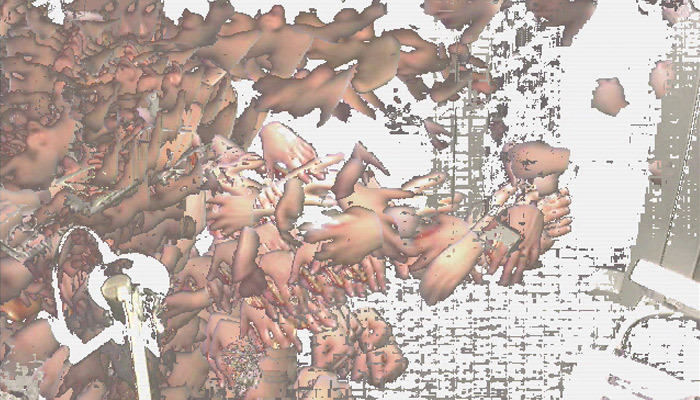 http==skin is a bug that explores the web universe looking for video streams, constantly listening and searching those cameras, a parasite that feeds himself of skin pixels found in the images broadcasted by hundreds of web cams lost in the internet. A crawler and collector of skin, surveillance and voyeurism. 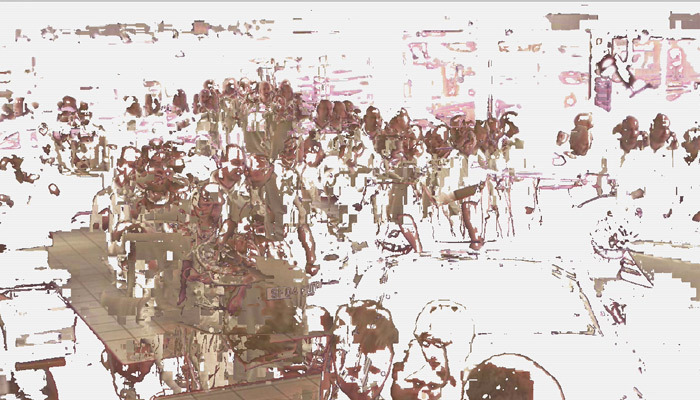 The program http==skin will expose skin pixels in a perpetual canvas, continuously being filled with unidentifiable amalgamations of streamed skin. 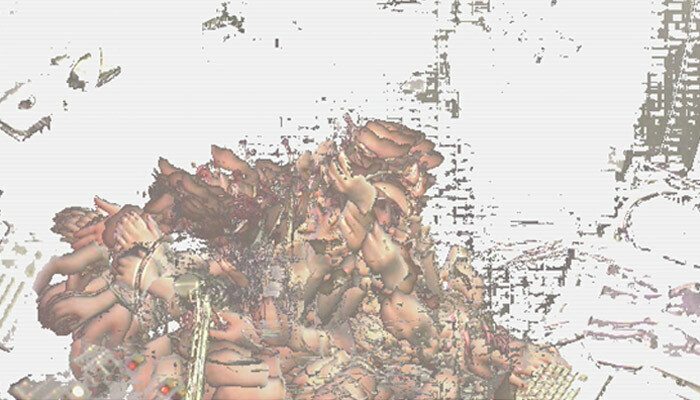 This is a Java based software and it is composed of 3 main parts: a crawler for links to open IP cameras, a stripper of its media contents (the video stream) and a computer vision system with its own skin detection algorithm. http==skin is currently waiting to be hosted in a server to be able to run free on the sprawl.